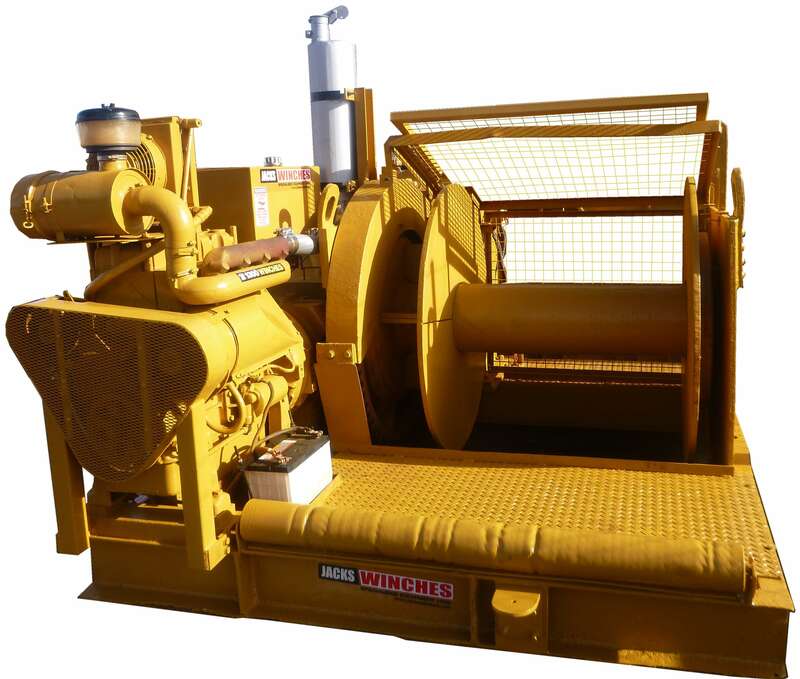 The SYKES TR2 is a self contained single drum, diesel powered Winch. The drum is fitted with a foot controlled band brake and powered by a Lister 4 cylinder diesel engine via a fluid torque converter and gearbox. The inch speed is controlled through the engine throttle and 2 speed, forward and reversing gear lever.